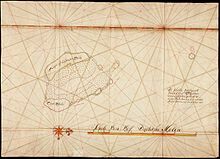 The Clunies-Ross family were the original settlers of the Cocos (Keeling) Islands, a small archipelago in the Indian Ocean. 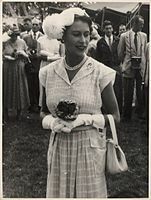 From 1827 to 1978, the family ruled the previously uninhabited islands as a private fiefdom, initially as terra nullius and then later under British (1857–1955) and Australian (1955–1978) sovereignty. The head of the family was usually recognised as the resident magistrate, and was sometimes styled as the "King of the Cocos Islands" – a title given by the press. HMAS Sydney was a Chatham-class light cruiser of the Royal Australian Navy (RAN). Laid down in 1911 and launched in 1912, the cruiser was commissioned into the RAN in 1913. Sir William Ian Clunies Ross was an Australian veterinary scientist. He has been described as the 'architect' of Australia's scientific boom, for his stewardship of the Commonwealth Scientific and Industrial Research Organisation (CSIRO), the Australian scientific organisation. 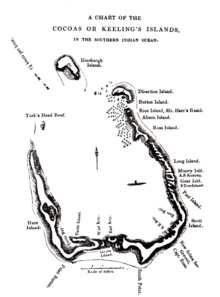 The Battle of Cocos was a single-ship action that occurred on 9 November 1914, after the Australian light cruiser HMAS Sydney responded to an attack on a communications station at Direction Island by the German light cruiser SMS Emden. 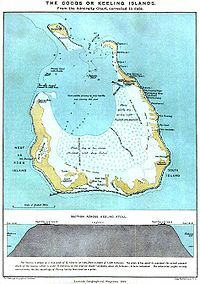 The Cocos Islands mutiny was a failed mutiny by Ceylonese soldiers against British officers, on the Cocos (Keeling) Islands on 8 May 1942, during the Second World War. The Shire of Christmas Island is a local government area of the Australian external territory of Christmas Island. The island is grouped with Western Australia but is administered by the Attorney-General's Department and an Administrator. The Shire of Cocos (Keeling) Islands, is a local government area which manages local affairs on the Australian external territory of Cocos (Keeling) Islands. The island is grouped with Western Australia but is administered by the Department of Infrastructure, Regional Development and Cities and an Administrator. 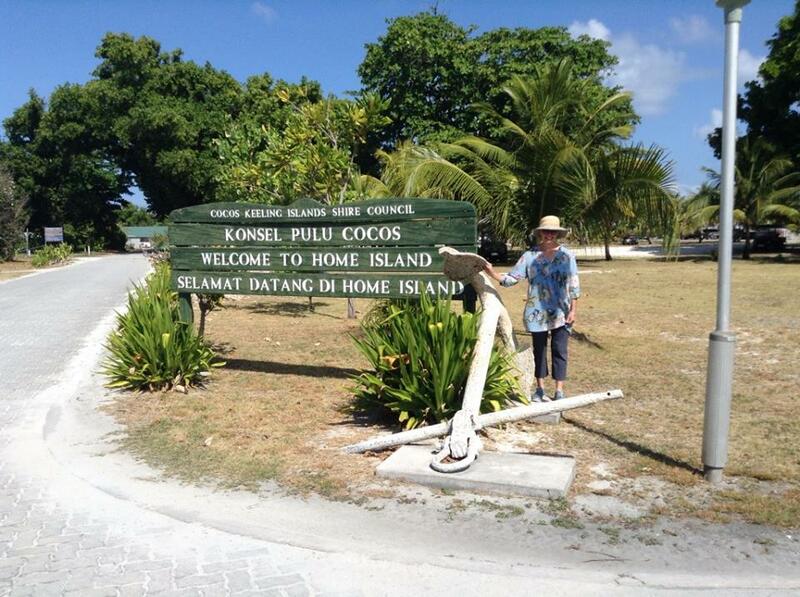 West Island is the capital of the Cocos (Keeling) Islands. The population is roughly 120 and consists mainly of Europeans. It is the less populous of the two inhabited islands. It was part of the Clunies-Ross plantation and an airstrip was built here during World War II. As well as all the government buildings, it contains the airport, a general store and tourist accommodation. In November 2013 it was revealed that the Australian Signals Directorate operates a listening station on West Island. Wullenweber and Adcock antenna systems as well as two satellite dish antennae are clearly visible via Google satellite view. 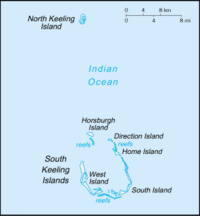 Horsburgh Island is one of the Cocos (Keeling) Islands. Its area is 1.04 square kilometres. There is a small lagoon in the interior of the island to the northeast. The Cocos buff-banded rail, Gallirallus philippensis andrewsi, is an endangered subspecies of the buff-banded rail endemic to the Cocos (Keeling) Islands, an Australian Offshore Territory in the central-eastern Indian Ocean. The local Cocos Malay name of the bird is ayam hutan. 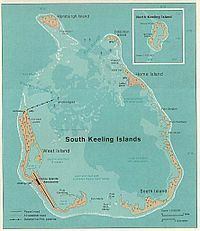 Home Island, also known locally as Pulu Selma, is one of only two permanently inhabited islands of the 26 islands of the Southern Atoll of the Cocos (Keeling) Islands, an Australian Overseas Territory in the central-eastern Indian Ocean. It is 95 hectares in area and contains the largest settlement of the territory, Bantam, with a population of about 500 Cocos Malay people. Local attractions include a museum covering local culture and traditions, flora and fauna, Australian naval history, and the early owners of the Cocos Keeling Islands. There is also a trail leading to Oceania house which was the ancestral home of the Clunies-Ross family, the former rulers of the Cocos Keeling Islands and is over a century old. 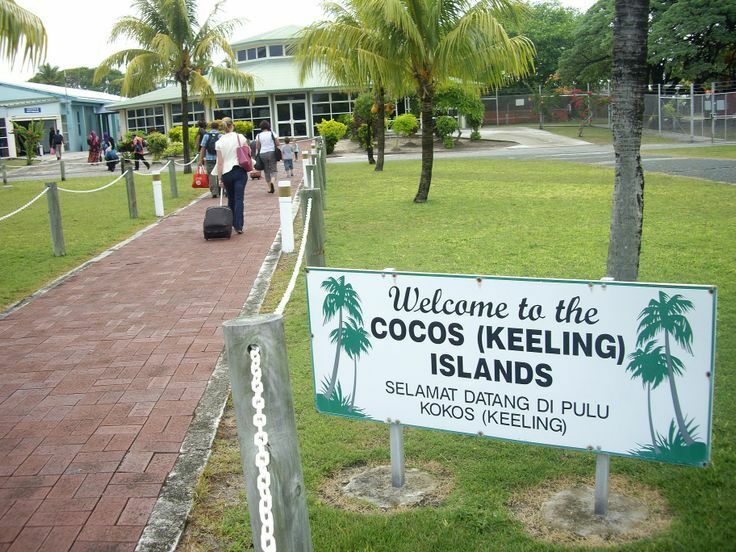 The culture of the Cocos (Keeling) Islands is essentially a Western culture with extensive influences from Malaysia and Indonesia.